The HS610 is compact and cost-effective suitable for smaller groceries, bodegas, delis, and more – where space and budget restrictions apply. Intuitive design – easy to use, fast and convenient. Large printer paper roll minimizes downtime for paper changes. Safe and reliable electronic payment processing. 15" high-definition LCD screen with projective capacitive touch (PCT). Modular design – easy to customize, deliver and install. Equipped with an advanced electronic validation scale. SDK Available for Windows, iOS and Android. Fill out the Contact Me form and a CRS Representative will follow-up with you shortly! 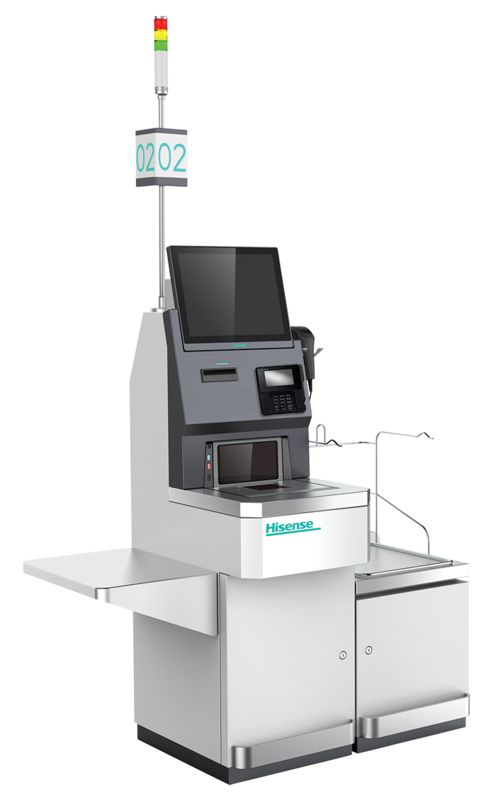 The HS710 is fully featured in a traditional large grocery form factor with currency and coin recycling options. Safe and reliable cash or electronic payment processing. Coin and currency recycling option. 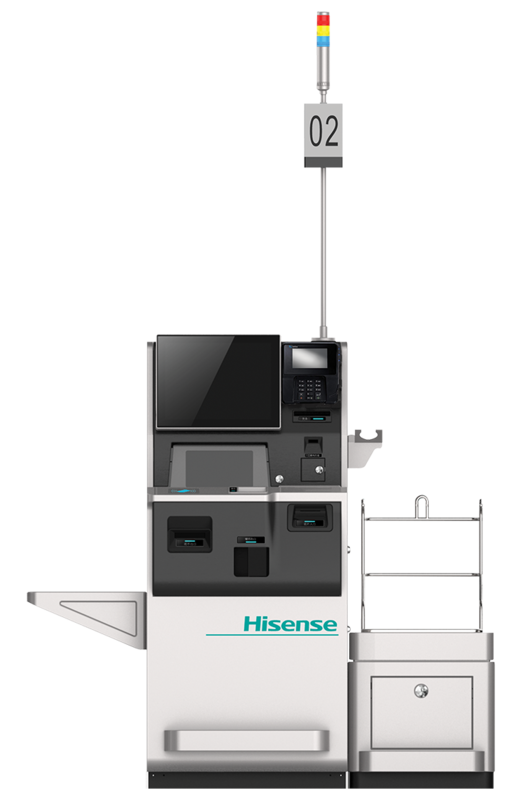 The Hisense HS5500 Self Ordering System provides an easy and contemporary approach to efficient service by speeding up the ordering process and reducing lines.